This topic has been moved to Programming Help. I'm not doing this anymore, thanks to everyone who bought a feature! Hope you enjoy them. Thanks u all for 10k downloads! Don't expect this program to work! It's UNFINISHED. 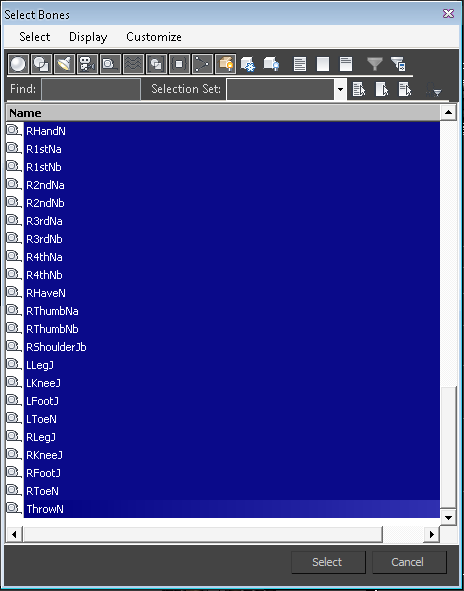 This is the program I was working on to modify Brawl movesets and animations. Unfortunately I decided to retire before I finished it, so here's the compiled version of all that I have done. There are bugs, like buttons that don't work and menus that go nowhere. You can't save any moveset edits, although I'm pretty sure you can save animation edits. Some animation features, like the interpolation and keyframe editors, are missing. Sometimes scripts may not run properly in the viewer or display improperly in the text editor. 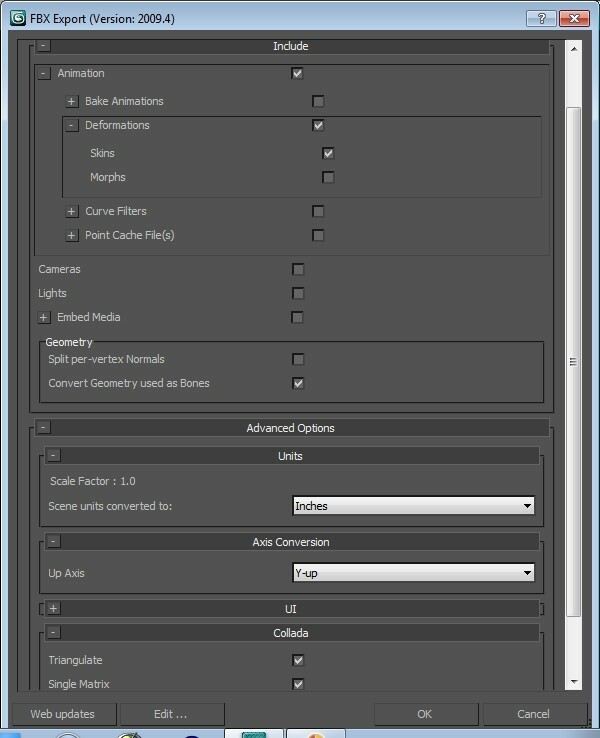 However, I was sure to include the GIF animation exporter for those of you who want to capture scripts in action. Articles are only read for a few characters: Pit, Link, Mario, Peach, and ZSS. It's really easy to support articles for different characters; I added a summary on how to do it in Ikarus/Structs/ExtraDataOffsets.cs. Ikarus can read the scripts of any character. Hey. This is my thread for all the BRSTMz I've created. The Brawlvault doesn't show audio hacks on the front page so I decided to make a thread for them all. I'll update this thread if/when I make new ones. Most recent is first, oldest is last. Airplanes Ft. Eminem & Haley Williams - B.o.B. So the event "Model Changer" 1 & 2 hasn't been understood properly for a while. And in case you didn't know, an "index" is the number, id, location, etc of a node in a list starting from 0. So the first node in a list would have an index of 0, the second would have an index of 1, etc. There's a node in the data section of each moveset called "Model Visibility". 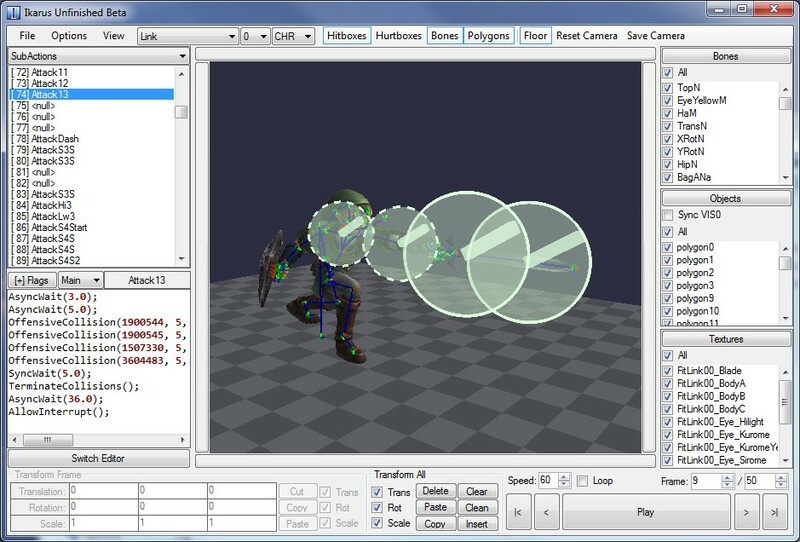 The model visibility node has references 1 & 2. Reference 1 is for the event Model Changer 1, and Reference 2 is for the event Model Changer 2. Each switch node has multiple groups of bones located in them. It's just like VIS0. Those are bones that are attached to objects. When the bone group is turned on, all objects attached to all the bones in the group will become visible. Each switch node has one value in it that you can modify. That value is the index of the group of bones that will be visible at the start of every subaction. Now to explain what the actual event does. Switch index is the index of the switch to select groups from. Bone Group index is the index of the group of bones that you want visible. 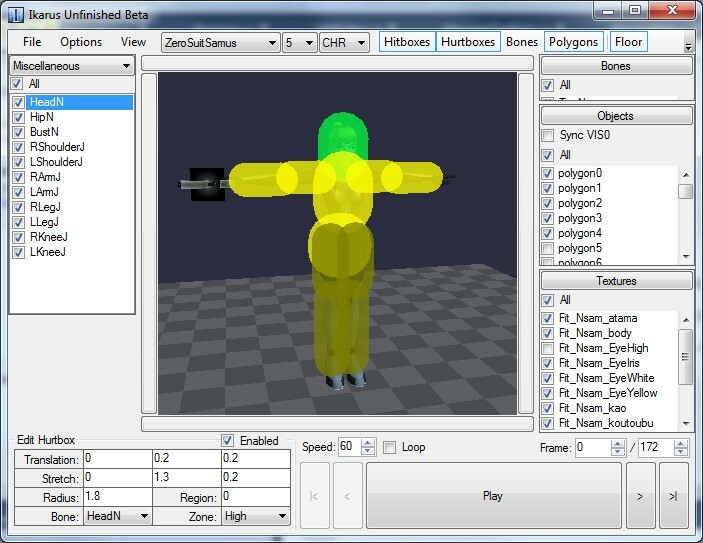 Using the model changer will make only that group of bones visible. All other bone groups will be turned off. Now if you set the Bone Group Index to a value less than zero or greater than the amount of groups available, all objects will become invisible. I think that explains it all. Feel free to ask questions or correct me on anything if I'm wrong. I'll have pictures up... sometime. Although you really shouldn't need them if you can see already. 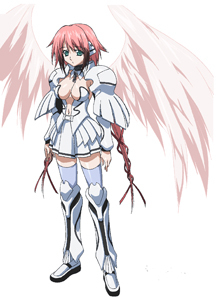 Ikaros from Sora No Otoshimono / Heaven's Lost Property. 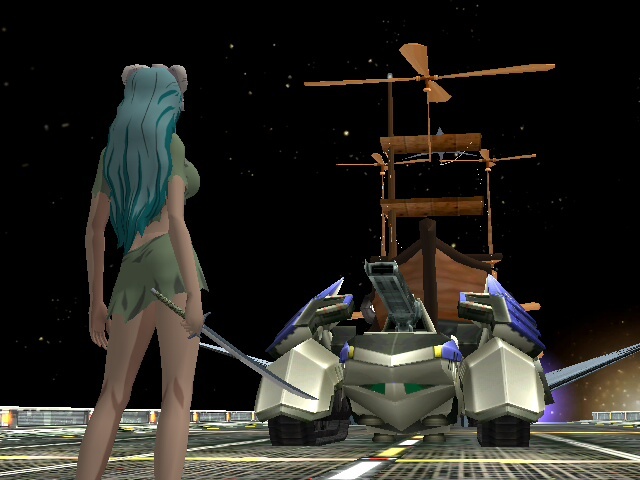 She will be rigged to ZSS' bone tree and ported over Pit for a PSA. We already have a moveset and a model to work with. This is technically a project but projects usually fail and aren't finished so we called it some [censored] instead. Normal, hoodie, bikini, wedding dress, school clothes, strapless dress, & Japanese kimono. Her eyes will turn red during the final smash and when she charges a smash attack or uses a special. A regular glide that lasts 3 seconds. May or may not change this to only work in air. You must continue to hold B to use it. Start up time is 1 second, ending time is 1 second. 1 second that you will be unable to move and vulnerable. It will break when hit a certain number of times (like the smashball, somewhat). You won't be able to use this move for another 50 seconds if it breaks. If you turn it off normally, it will take 30 seconds before you can use it again. Ikaros will flash/blink green once when it's available again. If used in air, Ikaros will descend slowly to the ground. Same as Pit's Neutral B; bow and arrow. With a custom bow and arrow model, of course. The arrow will be flaming dark purple/black on the tip at all times. When it hits either the ground or an opponent, the flame will create a medium-sized explosion. Can be controlled a bit easier than Pit's bow as well. She will be able to shoot forward in any direction at a speed of Mach 24. She won't literally move that fast, but will teleport in a way similar to Fox's Side B with some surrounding wind as well. Damage will be dealt if hit head on, otherwise the wind will push opponents away. Ikaros will charge a ball of light and then force it forward upon the opponent. It will explode upon impact and will not leave her hands. Charges with one hand up and then does a SMACKDOWN. She'll grab the foe's head with her hand (similar Ganondorf's Side B) and will squeeze her opponent's head like she did with Chaos. May or may not use this since it involves a special grab and might be a bit abrupt while dashing. 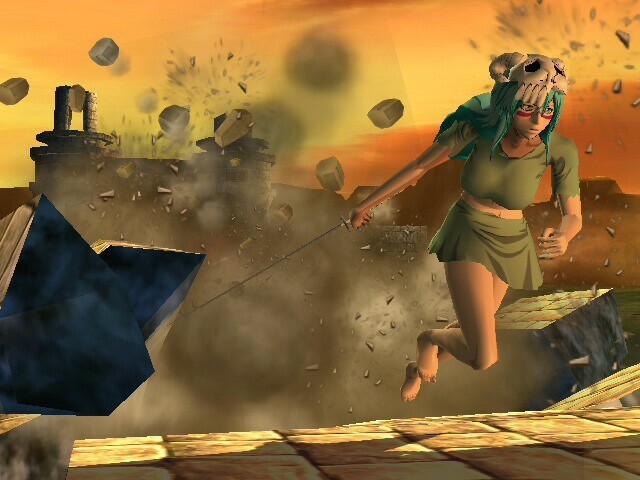 Ikaros spins around to the right and hits the opponent with her wings. Undecided. Backward kick, flips back around? Ikaros will rotate 45deg sideways and spin with her arms and wings out, hitting any enemies nearby. 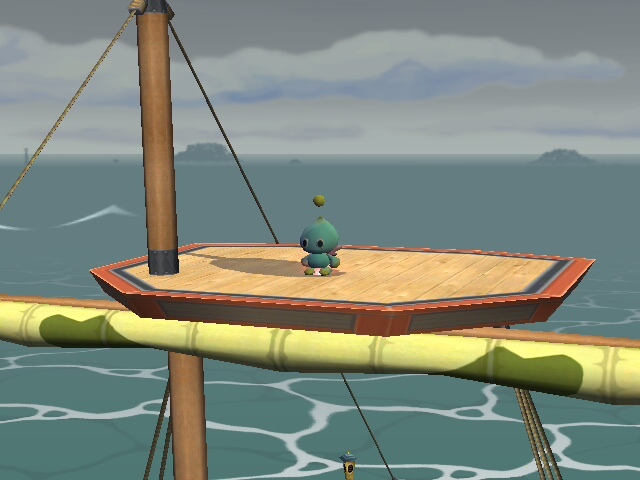 The ship can fly around the stage in any direction. It takes 1.5 seconds to turn properly. Will work like super sonic. When enemies are attached to it, they will receive 1% damage every second. The opponent can attempt to get out by button mashing/moving away. Depending on how possible this is to do, only the battle mode FS may be used. The Uranus System will rise up from the ground in Travel Mode and then transform into Battle Mode once in the air. Controller(s) will rumble. Mini Rockets are released that spread wildly around the stage. They may not be random depending on if it is possible to do so. 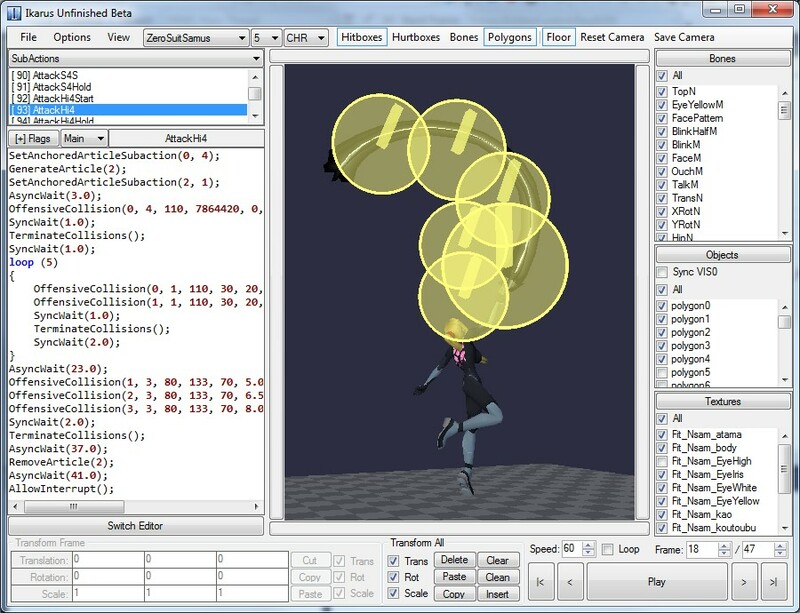 A myriad of explosive projectiles similar to Artemis is released across the stage. Robotic arms sweep up across the stage. Robotic arms rise up and then do a smack down on dat stage. The Uranus System charges up energy then fires an enormous blast of heat energy. Will be similar to Lucario's FS and will be movable up and down about as quickly as it. The FS lasts 15 seconds for the amount of time you have to attack. Ikaros will have an Aegis around her and will have her wings attached to the front of the ship. Ikaros will bend down and pull out a watermelon. She will crouch down and hold/stroke it for a few seconds while looking around. Then she will put it away and stand back up. Floats off the ground with arms crossed and [censored]s head to the side, almost as if bored/mocking. Walks in holding a watermelon, stops, then looks at the camera. Stares at the screen and strokes dat watermelon. Looks up and ATTEMPTS TO SMILE! Isn't smiling anymore and looks to the side with her hands behind her back and her left leg crossed in front of the left leg. Undecided. Simple hand motion, says she hopes she pleased master? Damages, trajectories, etc for each attack and Ikaros' speed will be decided once we begin the PSA. Parts I - IV by Beyond. First off let me give you a basic rundown of what this tutorial covers. 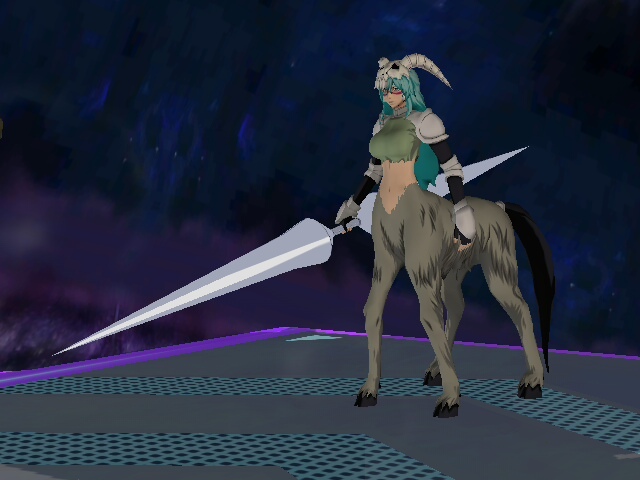 With the release of BrawlBox v0.65, it is now possible to import models from other games into Brawl, so I will be explaining how to import a model over an existing Brawl character and have it work as an single costume for that character. This tutorial will cover importing a model and skeleton into max, basic rigging, proper import/export settings, various glitch fixing, and advanced model features for in-game such as metal textures, moving eyes, and changing faces. *I will not explain where to get models from/how to rip models or where to get 3DS Max. - 3ds Max 2010, 2011, or 2014 (2012 and 2013 probably work too). I recommend using 2014. 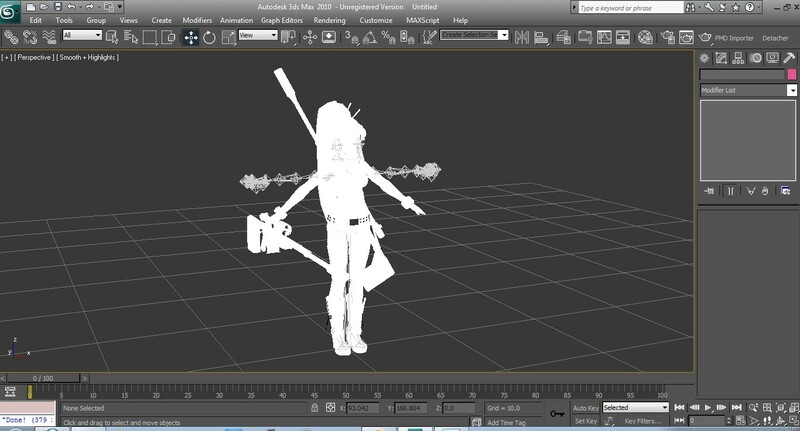 You can download 3ds Max for free here if you are a high school student (or not). - The .pac/.pcs of the character you want to port the model over. NOTICE: Brawlbox v0.71 has a significant upgrade (the tristripper) that can optimize the data size of model meshes. USE ONLY BRAWLBOX v0.71 to import your model, then feel free to edit the model with whatever Brawlbox version you want. If you imported the model using any older version, see below under "Part VII: More Information & Tutorials" - "Optimizing a model's mesh to reduce possible lag". This will allow you to fix the problem. Also, pressing the Z key while an object is selected will auto zoom on the object into view. 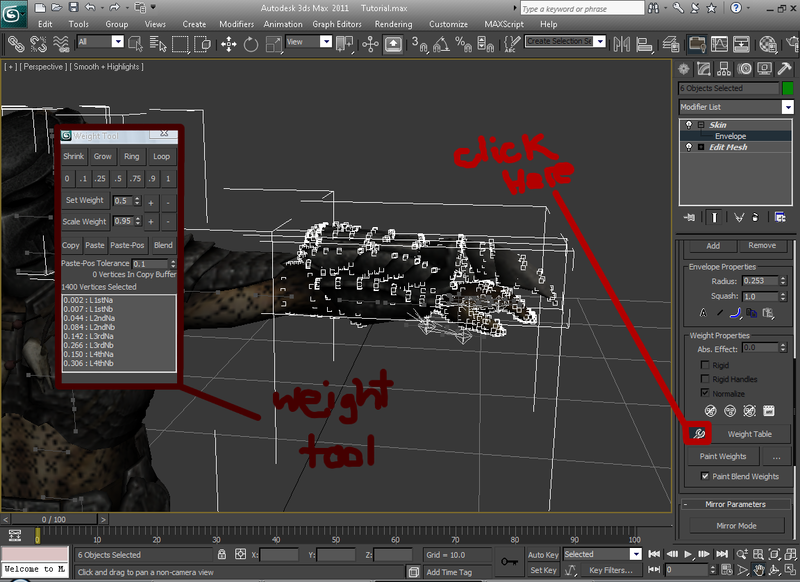 Alternatively, in the bottom right corner of 3DS Max, are your navigation tools. You can use this for basic viewport navigation, such as zooming in and out and panning your view. Rest your mouse arrow over them to see each ones function. 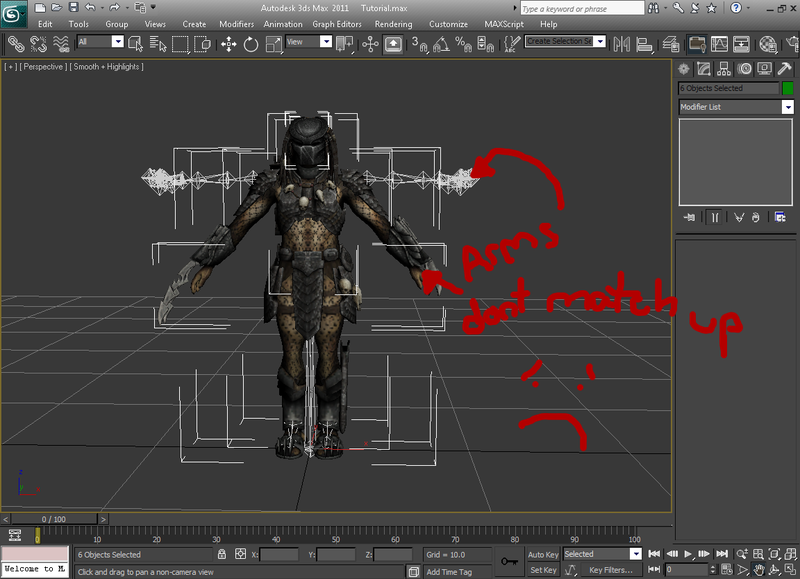 If you absolutely cannot find a working DAE plugin, try using the ones I have for 3ds Max 2010 and 8. *I will be showing my import of Yoko over Zerosuit Samus as an example in this tutorial (because it's already done). 3) Expand the MDL0. Then right click next to the gray box where it says Fit[YourCharactersName] and click "Preview". 4) The model preview window should pop up. Now take a good look at that model. *Use the scroll wheel to zoom in and out, right click+drag to move the model, ctrl+right click+drag to rotate the model. 5) Close the model preview window. Now right click the MDL0 again, but this time click "Export". 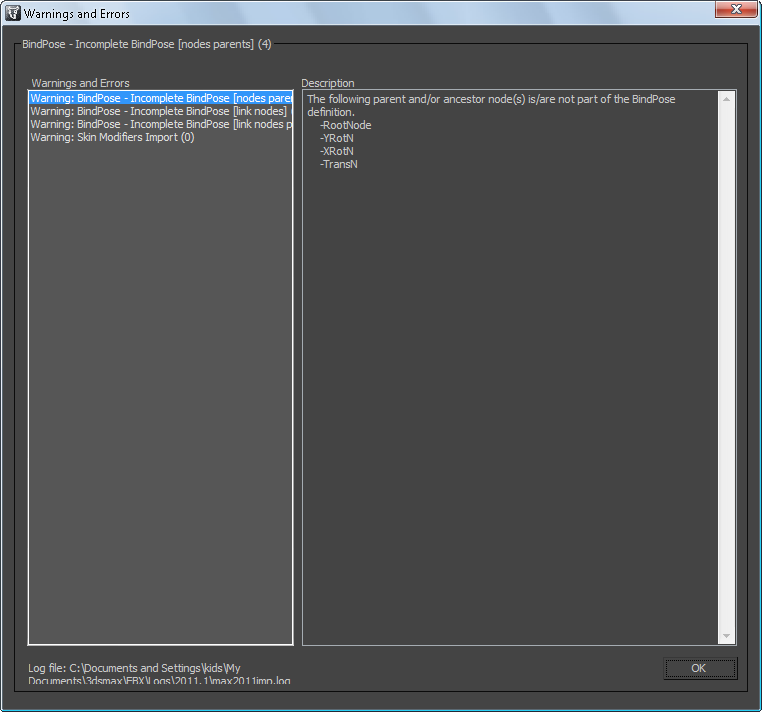 Depending on your Brawlbox version, it may ask you "Do you want to export weighted normals?" Go ahead and choose yes or no; it won't matter either way. We're done with Brawlbox so you can close it for now. 2) Click the button in the upper left hand corner. - In the drop down menu, go down to and click Reset. - A dialogue box should appear asking what model you want import. Select the .dae you exported from BrawlBox earlier. - This is important! Another dialogue box should appear similar to the one below, use the exact same settings as in the pic. The Cameras and Lights settings do not matter. - Click within the bottom right preview window. 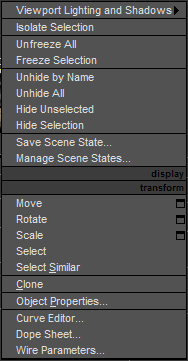 And then in the bottom right corner of 3DS Max you should see this button , click it to expand your viewport. Dummy Bones are identified by this symbol , Polygons are identified by this symbol . - Scroll down and select all of the Polygons. Make sure you don't select any bones. 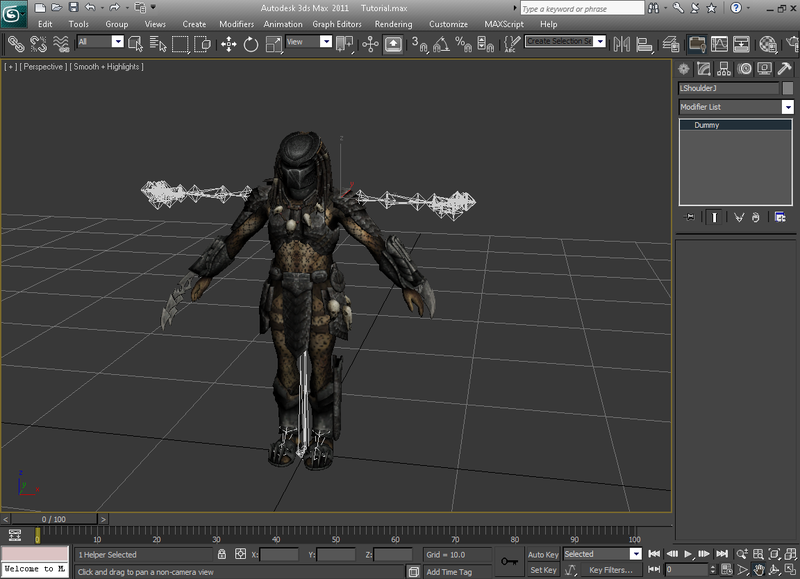 Then Click OK.
- Press the "Delete" key, this will delete the polygons and should leave you with the imported Skeleton. 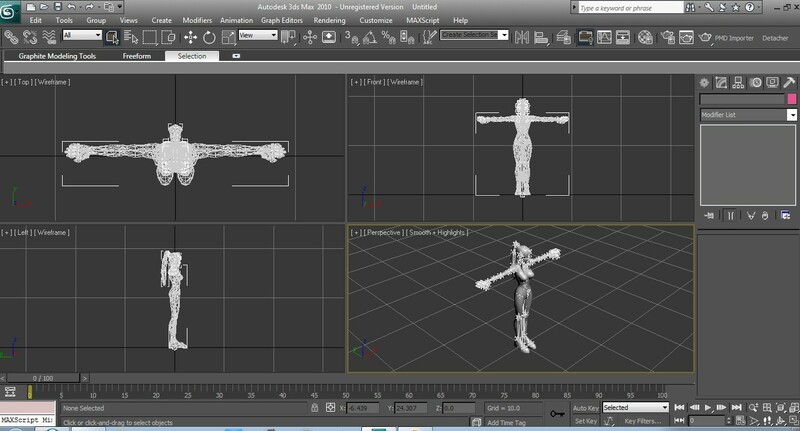 Your skeleton is now ready for a model to be rigged to it. This is the part of the tutorial where things may start to differ vastly between my examples and your actual workspace. I will try my best to explain the following concepts. If you are unfamiliar with working with 3DS Max, I would like to take this moment to draw your attention to the Basic 3DS Max Navigation Guide found at the start of the tutorial just in case you need it. 1) Click the top left hand button again , and go down and click Import again. And import your model. *Note, that 3DS Max will only display models compatible with it. 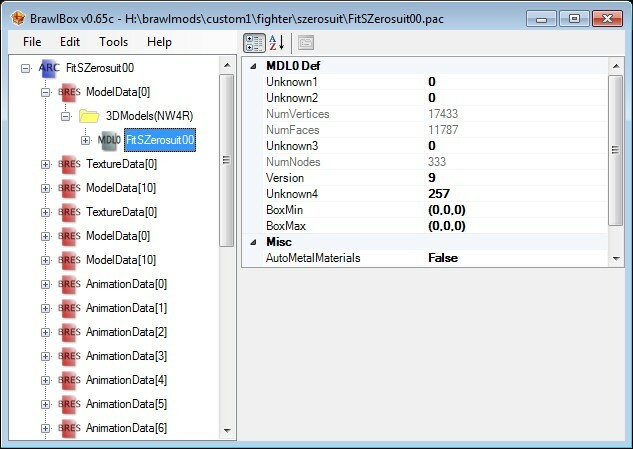 Certain model formats may need additional plugins installed or scripts to be imported. 2) Depending on your model and its format you may get a wide variety of results after it imported. It may be too large or too small, rotated the wrong way, or untextured. 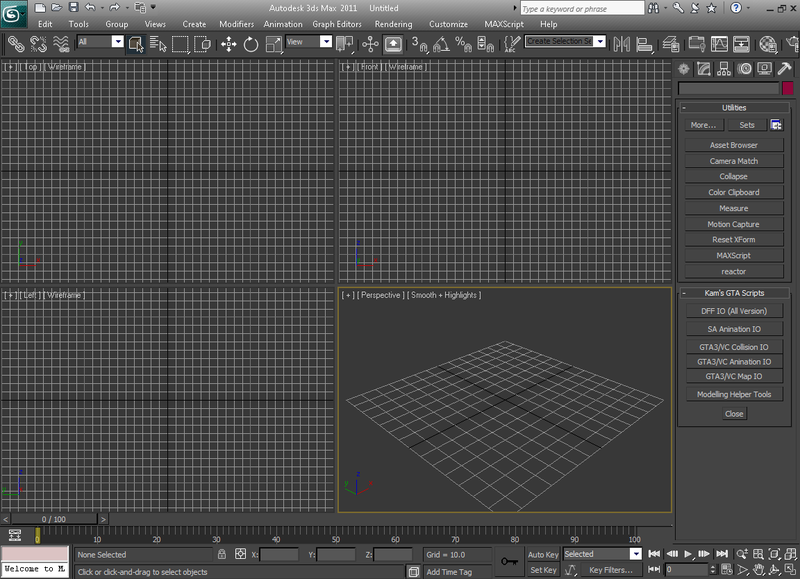 3) Now open this script and drag it into 3ds Max. Check "Bitmap" and then click DETACH. 4) This step is not necessary but it is recommended. 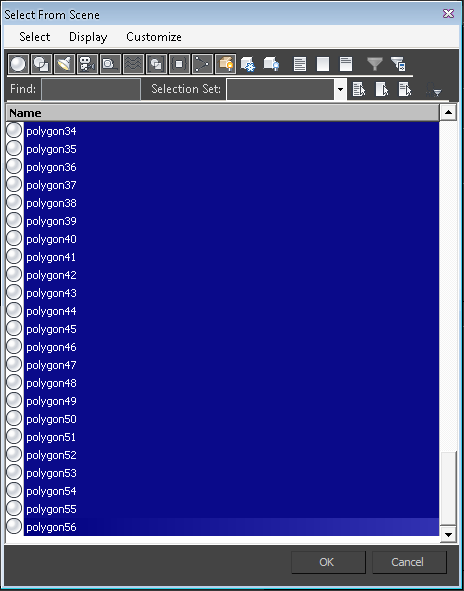 - and then select another object with the same texture in its name. Attach any other objects individually the same way and then repeat for other objects with a different texture in their name. This process will make sure that there's exactly one object per texture. 5) Now that your model is all detached and fixed up, you can now apply the textures if they're not displaying correctly. The names of the objects should be the same as its texture's name with a few numbers at the end. Simply drag each texture onto each object. 6) Press the H key and make sure all of the polygons of your import model are selected and then click OK.
7) Now that your model is selected, you have to position it so that it is relatively the same size and rotation as your Brawl skeleton. These will involve using the Move , Rotate , and Scale tools found in your menu bar. Using them is pretty simple. After selecting the tool on the menu bar, just click and hold within the crosshairs that appear on your model and drag. I won't go into too much detail here, it should be self explanatory once you play around with it. As you can see, the arms aren't in T-pose. There are 2 solutions to this, I can either rotate the vertices of his arms into place or rotate his shoulder bones so that they match his current arms position. The same can be applied to other deformations your model may have. Do not MOVE or SCALE the bones! I'll explain both for you. I recommend you read through both even if you choose one method over the other. 1) To rotate the shoulder bone into place, I can can either press the H key and select the shoulder bone from the list or I can just click on it if I can see it within my viewport. 2) Then with the rotate tool, rotate it into place. 1) To rotate the vertices into place, select all of your model. Then to the right of your viewport is the command panel, click the Modify tab on the command panel. 2) You should now see to your right something that says Modifier List. 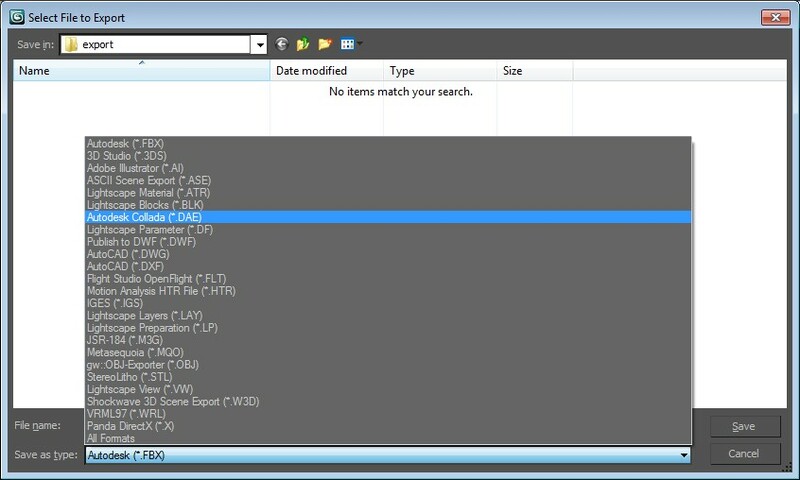 Click the drop down tab next to it and select Edit Mesh from the list. 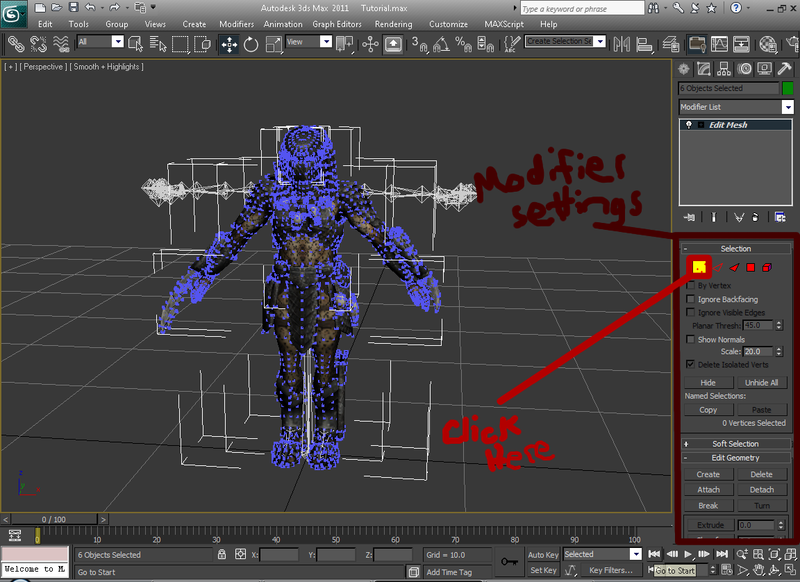 3) An Edit Mesh modifier will be added to all of your model. Now to your right under your modifer settings, Click what looks like 3 red dots to change your selection mode to Vertex. 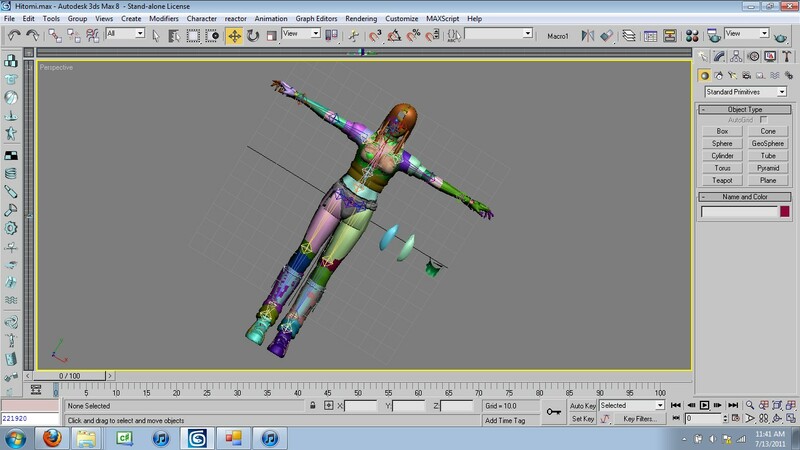 4) Your model should be covered in vertices. Now Click + Drag to select the portion of your model that doesn't quite line up. You can add onto your selection by holding Ctrl and subtract from your selection by holding Alt. 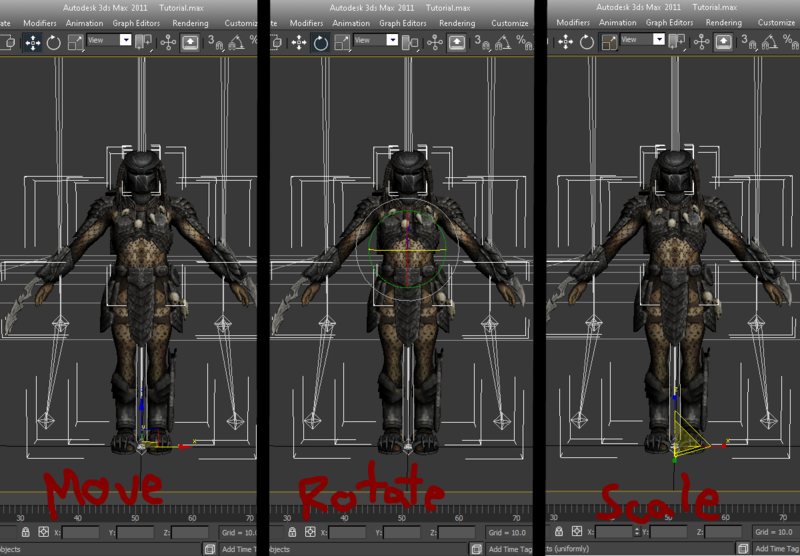 Then with your trusty move, rotate and scale tools; move the problems vertices into place. You can press Alt + X to make your model semi-transparent if that helps, press it again to undo it. 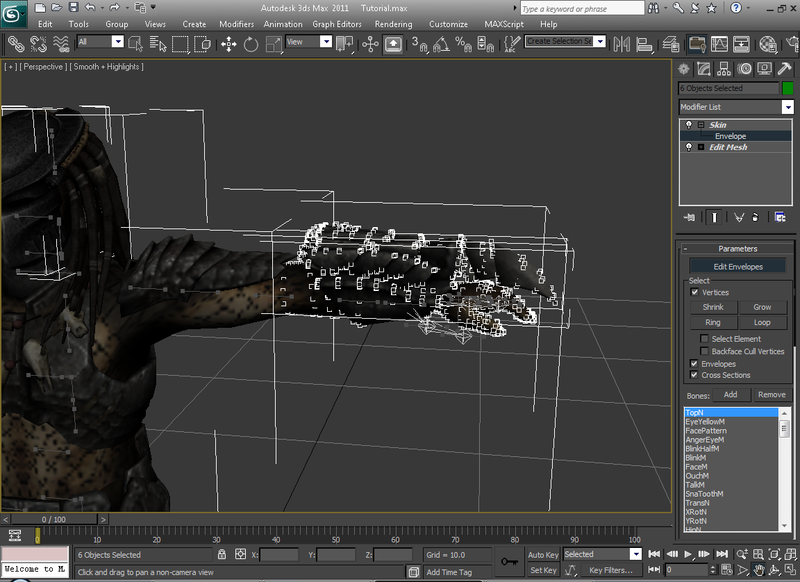 - Now with your model selected, go drop down the modifier list again and this time scroll down and select Skin. This will add a Skin modifier to all your model. 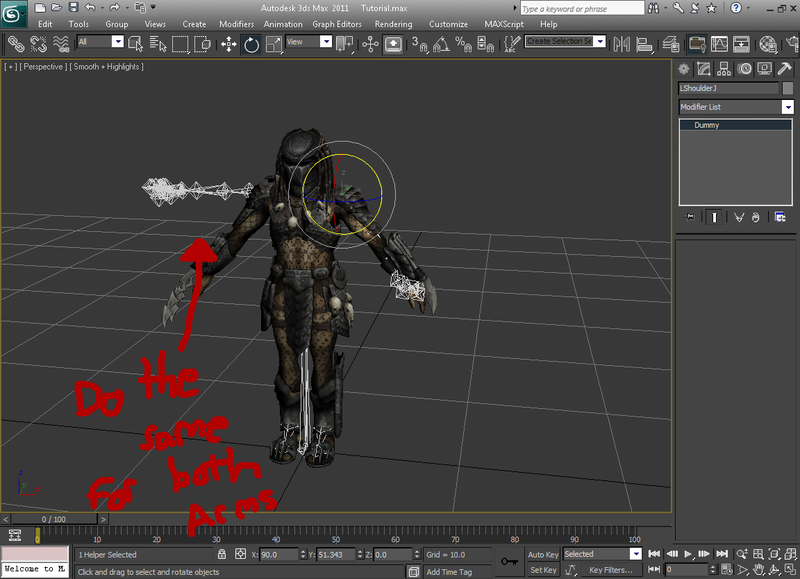 2) Under the modifier settings, Click the Add button next to where it says Bones:. - A dialogue box should appear asking you to Select Bones. Go through and select ALL of the bones and then click Select. 3) You should now see the names of all your bones listed under the Skin Parameters to your right. - Now click where it says Edit Envelopes and check the box next to where it says Vertices. 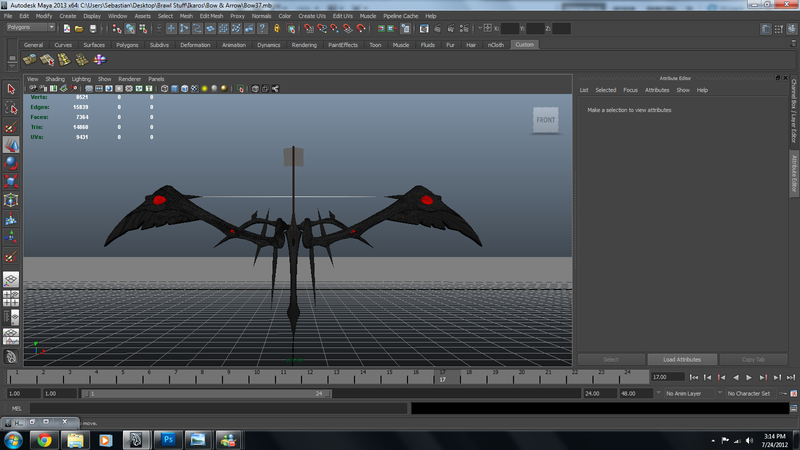 4) Now to start rigging. 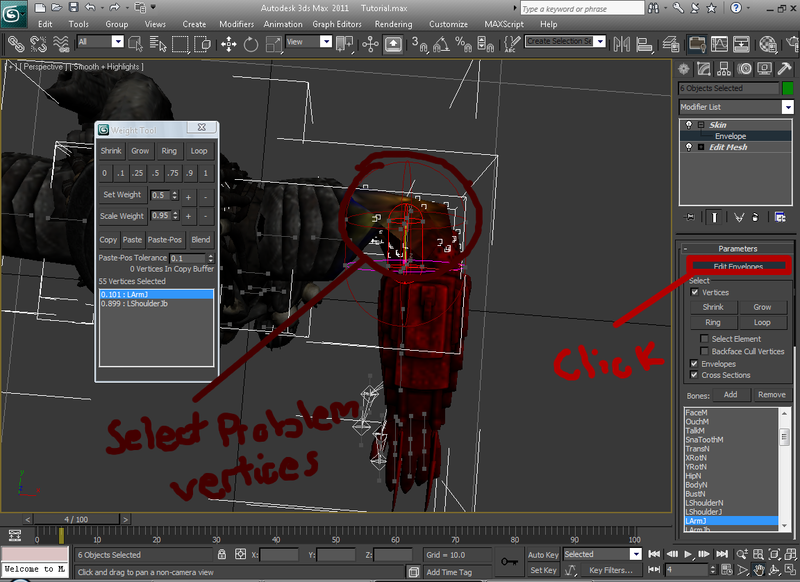 Click + Drag to select a portion of vertices you want to rig. *I will be selecting the area from his left elbow to the end of his left arm. 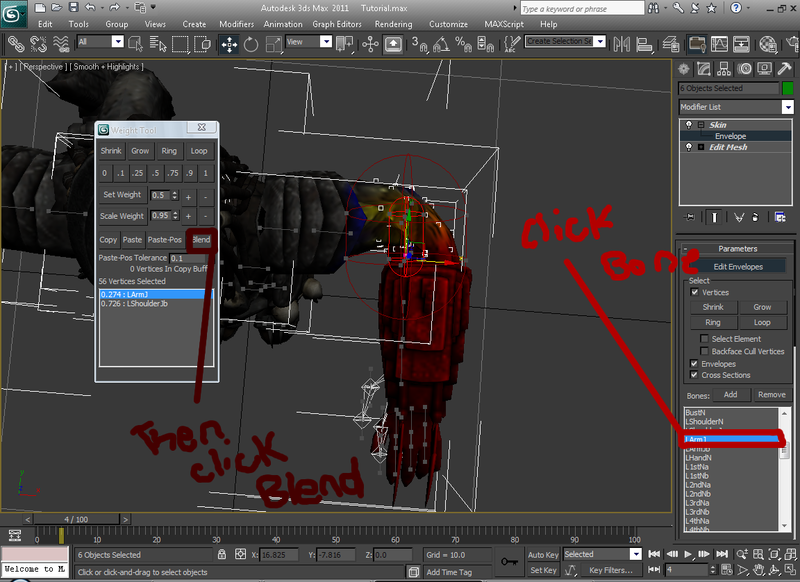 - Now scroll down through the Skin parameters, and click the button that looks like a wrench. This will bring up the weight tool. 5) Scroll back up through your Skin parameters to your list of bones and click the bone you want to weight your selected vertices to. - Then under your weight tool, click the 1 button. This will set the influence of your vertices to the bone you selected to 1, meaning that they will move only with that bone. 6) Now to test your rig. 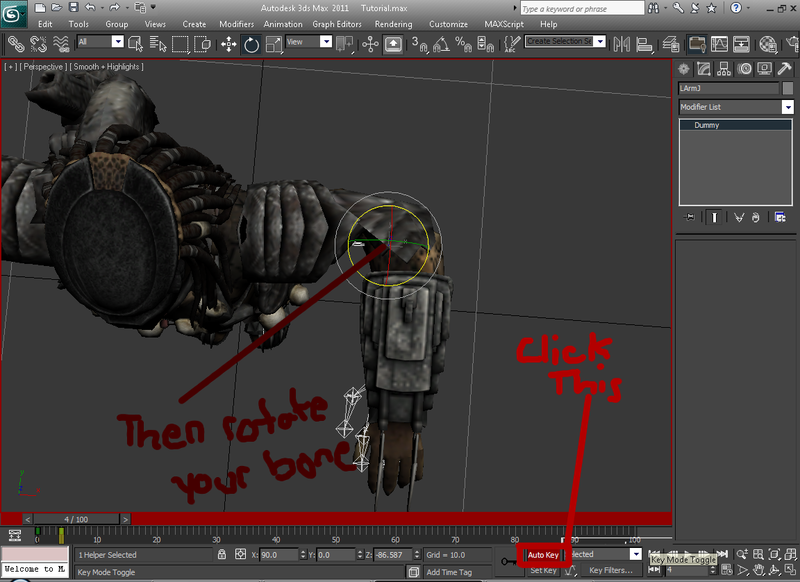 Press the H key and select the bone you're currently rigging to from the list. - With your rotate tool, rotate the bone. 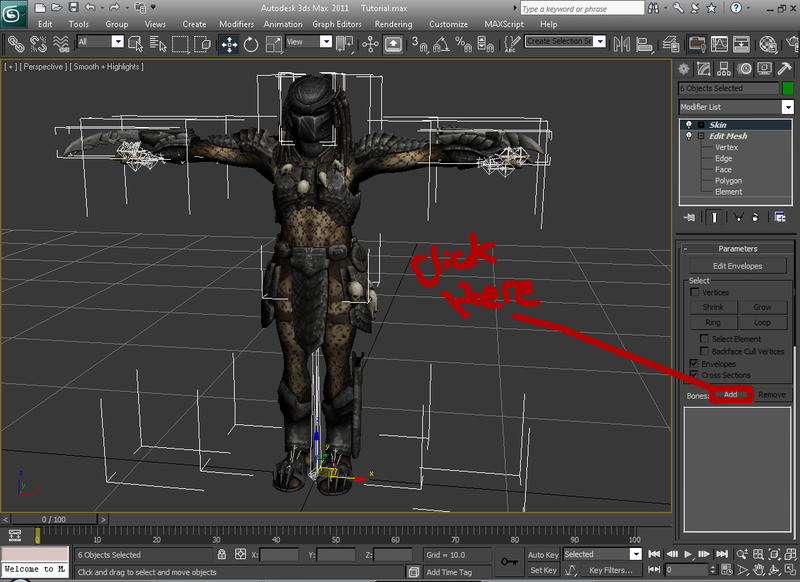 The portion you rigged and potentially other vertices that you haven't skinned yet should move with it. As you can see, there's some deformation around his elbow that needs some fixing so it bends smoother. 7) Make sure you undo any bone rotations you do. 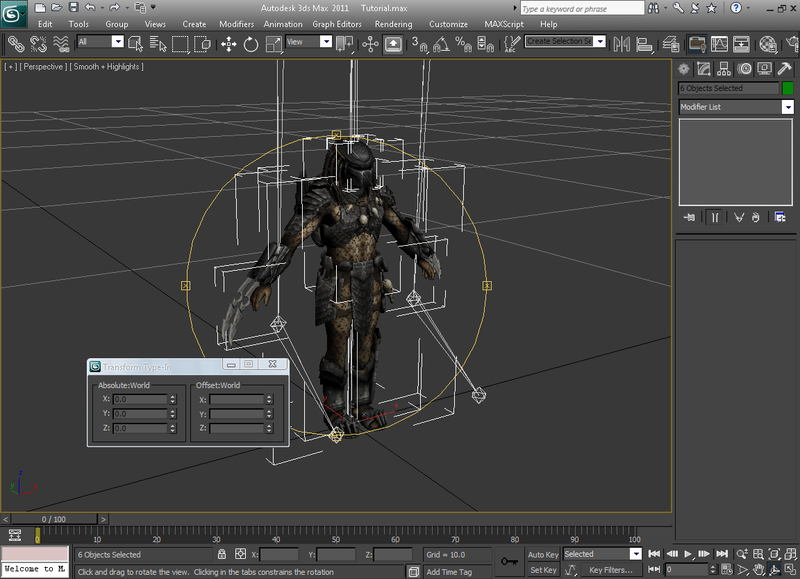 Then towards the bottom of 3DS Max, drag the timer a few frames forward. - Then towards the bottom hit the Auto Key button, this will create a key frame. Then select your bone again and rotate it. - Then click the Auto Key button again. 8] Now press the H key and select all of your model. Then click the Edit Envelopes button again. - Then select the vertices around the problem area. From the list of bones found under the Skin parameters, select the bone you're working with. Then under the Weight Tool, click the Blend button until it smoothes itself out. You can also try selecting the bones before/after the one you're working with in the hierarchy and click the Blend button, *so for my example I could also blend with his Shoulder bone and his Wrist bone since I'm working with his Elbow. 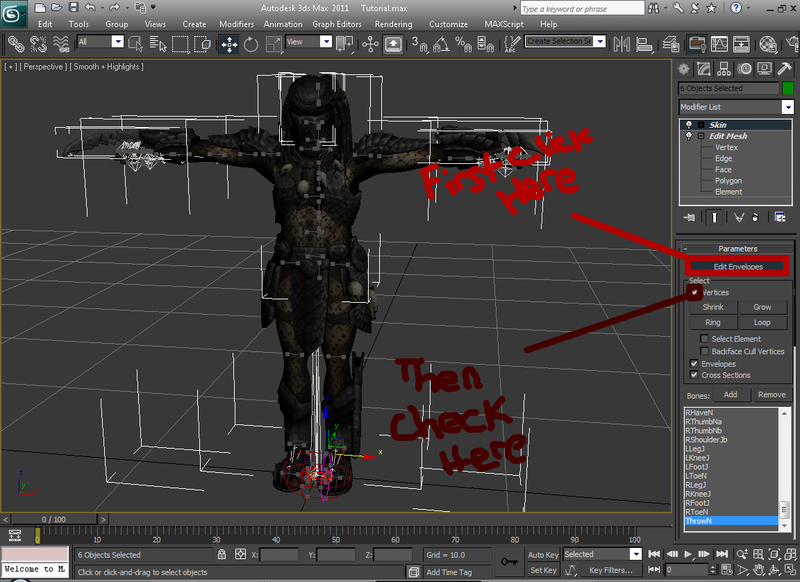 9) There may be a stray vertex/vertices that may need individual rigging to look right. Select those problematic vertices. 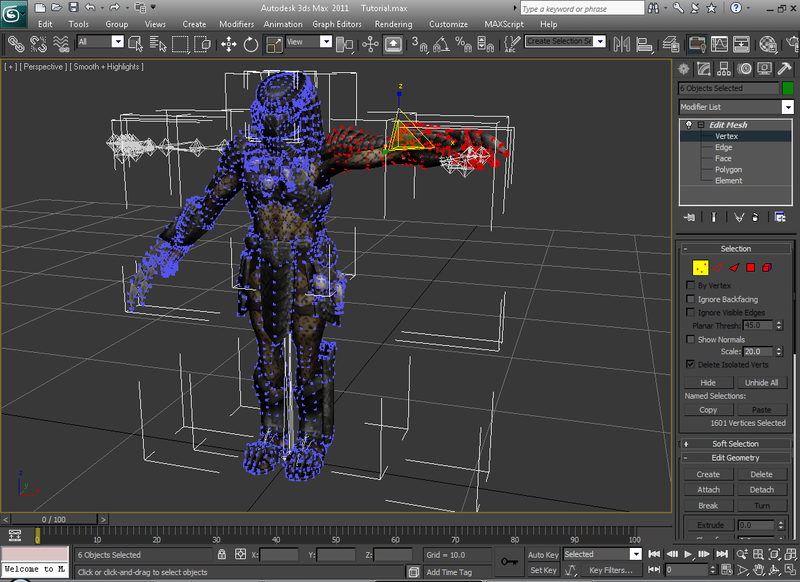 - Under the weight tool, it displays all the bones that this vertex or vertices are influenced by. If you click one of these bones and click the top + and - you can increase and decrease it's influence. You can also set a specific number by typing in a value in the box next to the Set Weight button, and then clicking that Set Weight button. Adjust the values until it looks right. 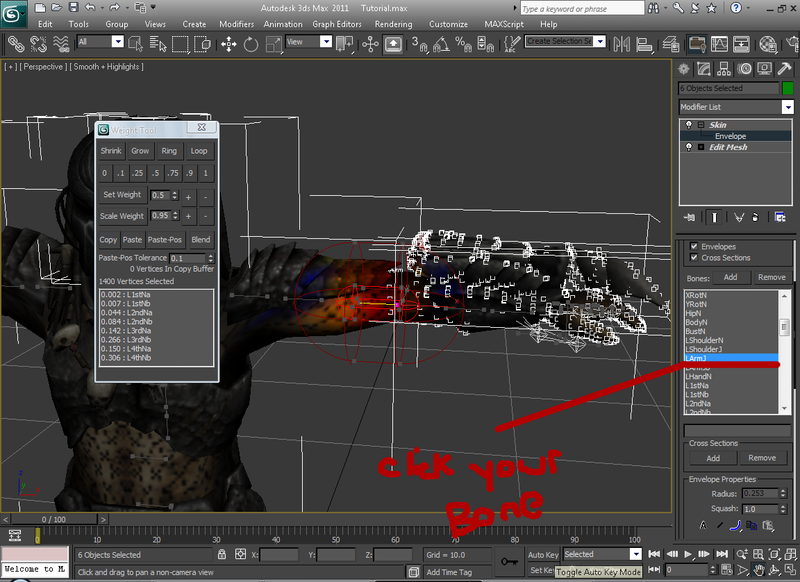 *Snakes arm shouldn't move with his BustN bone so I set its influence to 0. 10) Go through and rig the rest of the vertices in the same manner. When you're happy with it and done, drag the timer at the bottom of the screen back to frame 0. 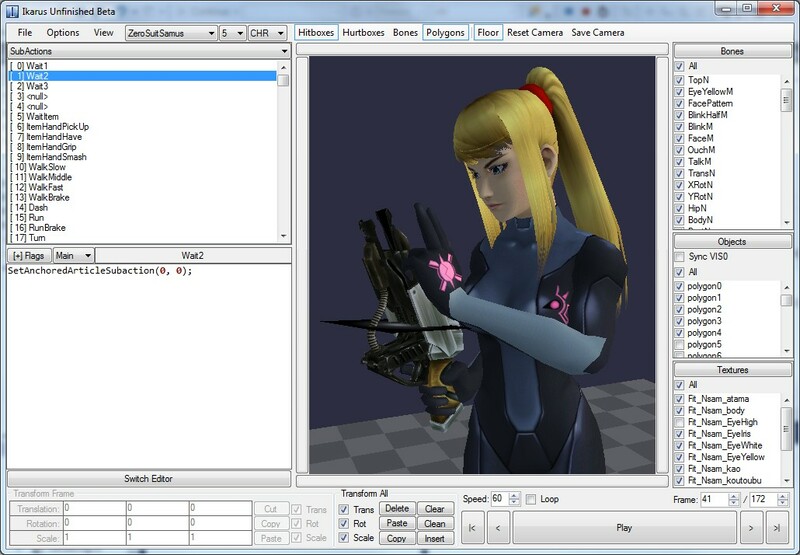 *I will be using a finalized model over Zerosuit Samus from here on. 1) Click the top left hand button one last time , and go down and click Export. 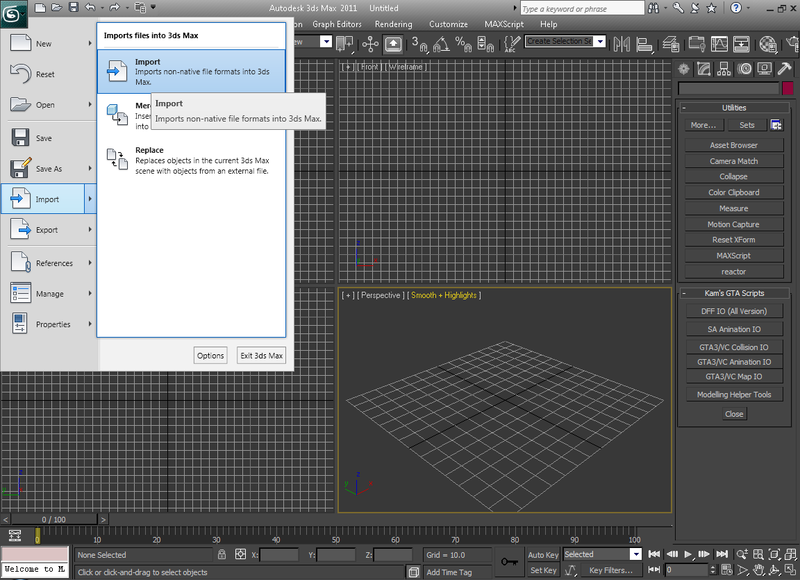 2) In the dialog that appears, click the drop-down and select "Autodesk Collada (*.DAE)". 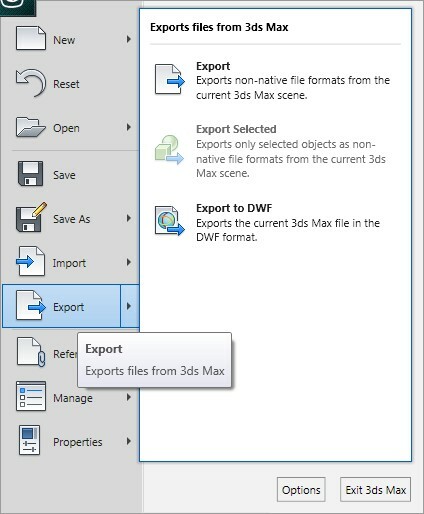 *Note, that 3DS Max will only display model formats compatible with it. Certain model formats may need additional plugins installed or scripts to be exported to. 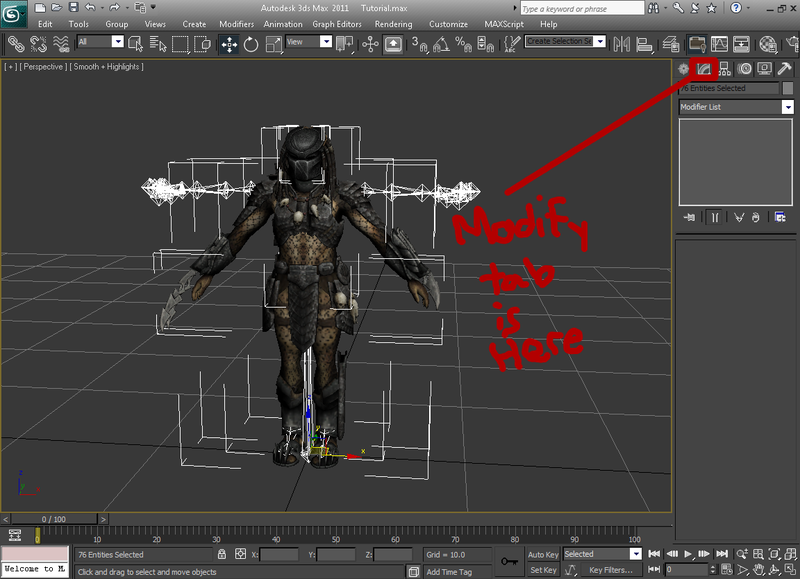 3) Now navigate to the location that you want to export your model to and click Save. This is important! 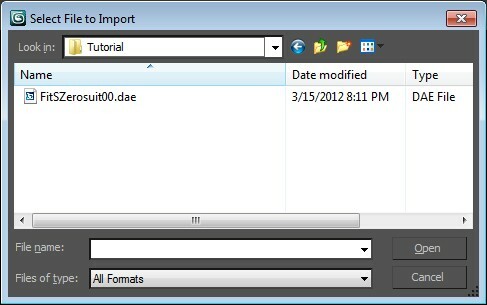 An export dialog similar to the one below will appear. Use the same settings as in the pic. Settings that are not visible do not matter. It is NOT okay, but it is easily fixed. Repeat Step 2 under Part IV for any skin modifier and this error will go away. 6) Expand the MDL0. Then right click next to the gray box where it says Fit[YourCharactersName] and click "Replace". - If the error says something like "DecodePrimitivesWeighted" then your rig is incorrect, meaning you didn't weight all the vertices to the bones correctly. - If the error says something like "Object reference not set to an instance of an object" then you didn't include all the bones in a skin modifier. 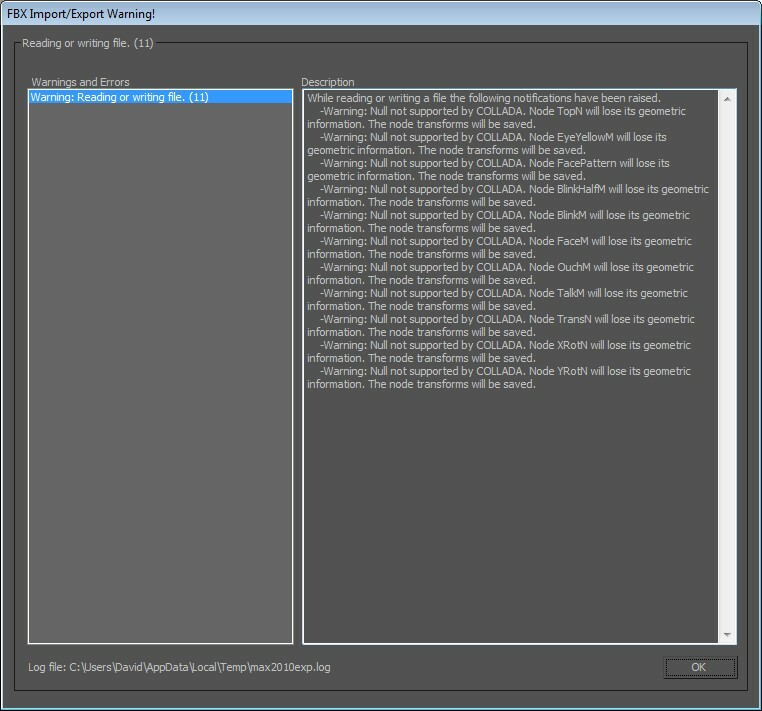 - If the error says something like "Index out of bounds of the array" then try unchecking "Remap Materials" before importing. After you imported the model in BrawlBox, right click on TextureData, and do Import > Texture. Pick the same texture that was applied to the model in 3ds max, don't rename it. Leave the options to default (should be CMPR) and click Okay. You should see the texture appear in the Textures(NW4R) folder along with the original textures. Delete (ctrl+del) all the unused textures from there. If the texture looks all weird in-game after that, it's because you didn't uncheck Remap materials when importing the model in BrawlBox. Use Brawlbox v0.65c or later for this. 1) Highlight the model in the tree view. 2) Go to the properties on the right and find the option that says "AutoMetalMaterials"
3) Change it to True and click Okay. 4) That's it! You're done. When rigging your model and getting it ready to export, create/get seperate objects for the different faces (Blink, HalfBlink, etc). 3. That's all you need to do. 1. Open your model in 3ds Max once it's ready to be imported. 3. Edit the new copy to blink, etc but DO NOT ADD OR REMOVE VERTICES. ONLY MOVE THEM. At this point, if you want to test if you did everything right, add a morpher modifier to the normal face. Add the extra faces you made as morph destinations. If you can't, then you screwed up. Start over. If you can, and they work, delete the morpher modifier and continue. 9. Delete the objects of the extra faces (but DON'T DELETE THE NORMAL FACE) using v0.68b and a dialog will open asking you if you want to remove the vertex node for each one. Click NO every time. 10. 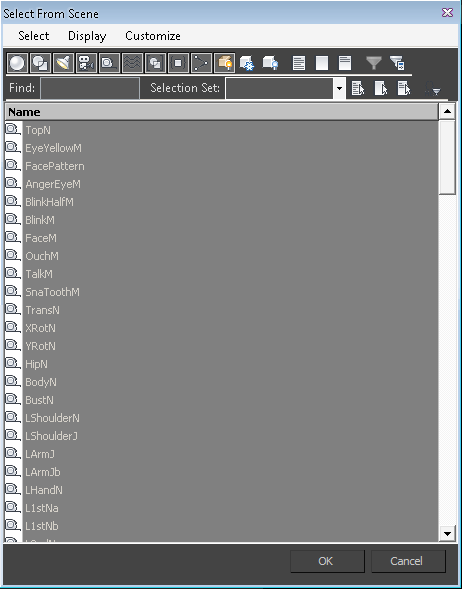 Rename EVERY FACE VERTEX SET (even the normal one) to match the name of the original model's vertex sets. SHP0 uses the vertex set names of the normal face and the extra faces for morphing. 11. Save and that's it. - You will need 3ds Max. Blender does not work with this. - Check "Triangulate" and "export as Single Matrix" on export. - Each texture/material has to be assigned to its own object in 3DS Max. - Check Animation - Deformations - Skin. - Delete all morphs. If you want to use face morphs for an import, make the faces into seperate objects. 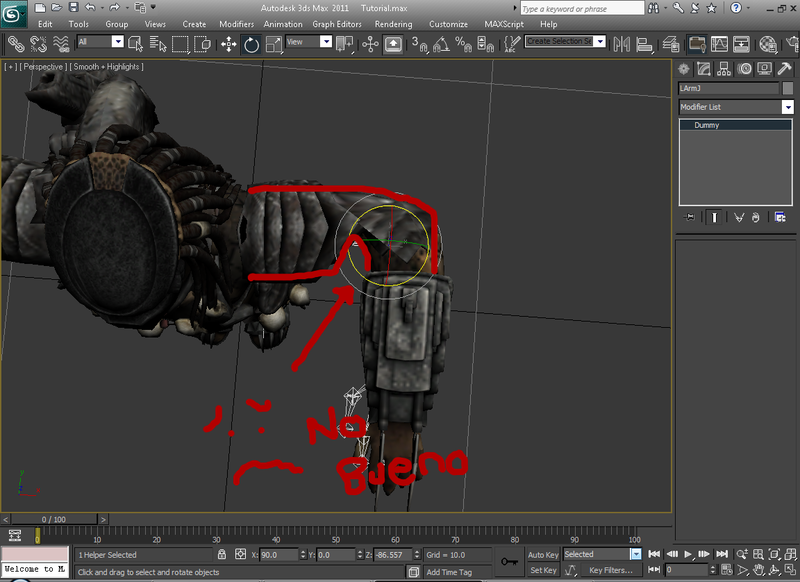 - Do not use Physique to rig your model to a brawl skeleton, use the Skin modifier. - Make sure everything is ungrouped. Grouped objects aren't exported to DAE. 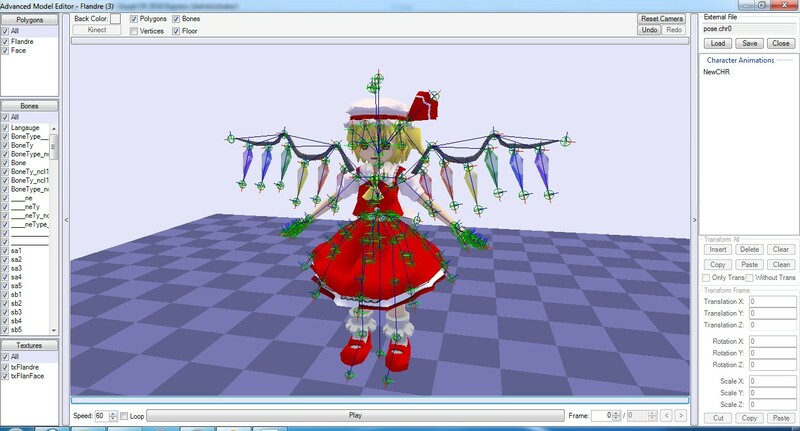 - Make sure every single vertex is rigged, or you will get an import error. Note: Unless you absolutely need to reduce influence count (which will result in a less accurate rig) to solve lag problems, it is not recommended to export an MDL0 to DAE and reimport it back to MDL0 just to optimize the facepoint count. This will most likely result in a reduction of float precision and may cause small changes in UV mapping, normals or vertex positions. Instead, right click the MDL0 itself and click "Optimize Mesh" from there. That will allow you to optimize all objects at once. 1. Apply an "Edit Poly" modifier to the entire mesh you want to seperate. 2. Right click - copy the skin modifier, then click the light bulb to hide it. 3. 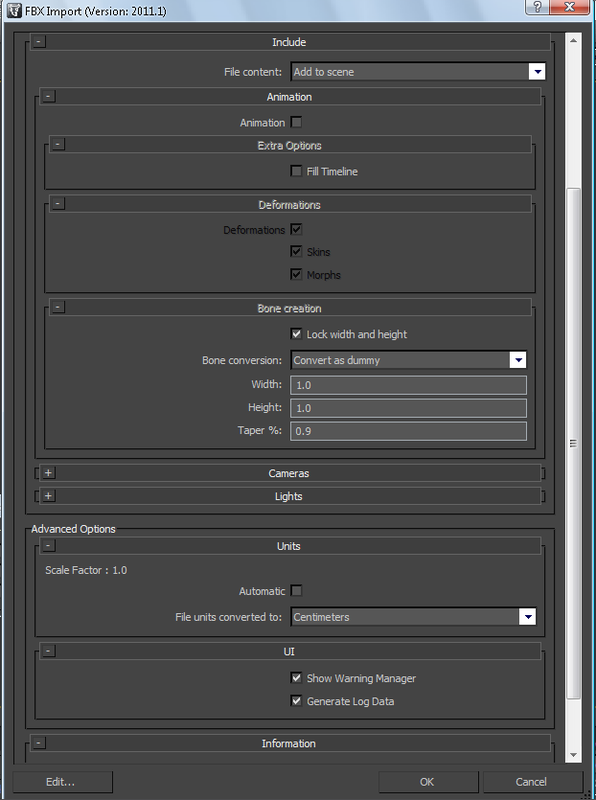 Select the edit poly modifier. 4. Open this script. Check "Bitmap" and then click DETACH. 5. 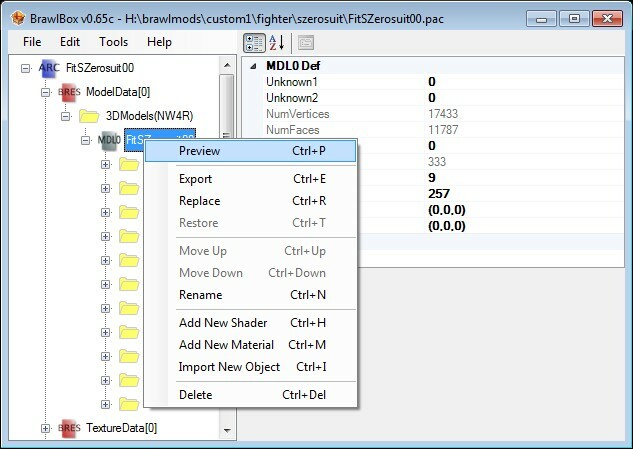 In order to reduce MDL0 file size later on, click each object that has a different texture name, add an edit poly modifier, scroll down and click attach, and then select another object with the same texture in its name. Attach any other objects individually the same way. Then repeat for other objects with a different texture in their name. This process will make sure that there's exactly one object per texture. 6. Now go click each new object, go to the modifiers, right click, and click paste. Then right click in the viewer and click "hide selected." 7. Repeat step 4 for each object until there are no objects left on the screen. 8. Right click in the viewer and click "unhide all." 9. You're done! Save if you haven't already. Thanks to Justin712 for the skin copy trick. 1. 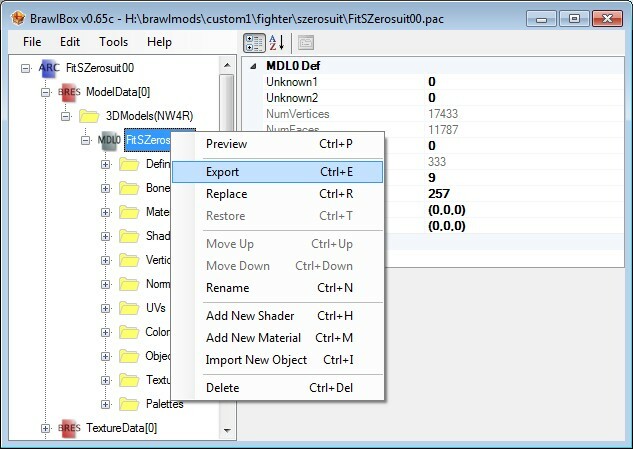 Export the model from Brawlbox v0.71 to DAE. 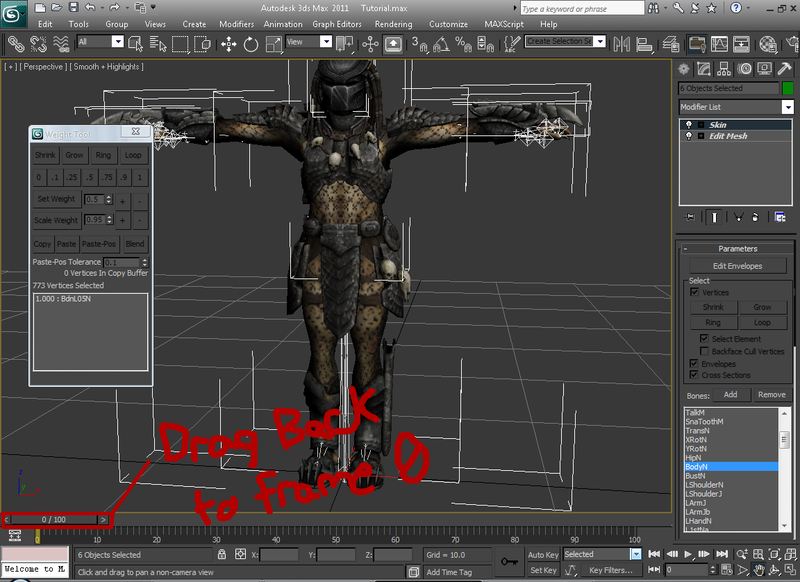 Then import that DAE into 3ds Max. Make sure you change the unit conversion to centimeters (it defaults to inches, which will shrink your model). 2. 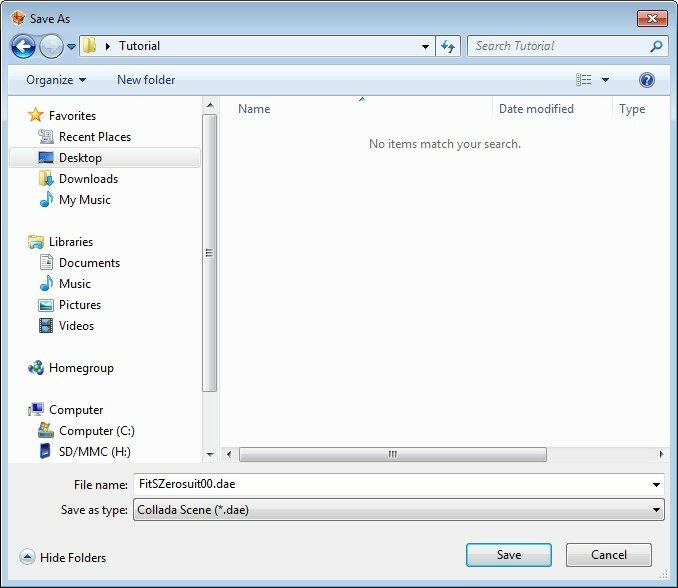 Click each object separately and press delete. 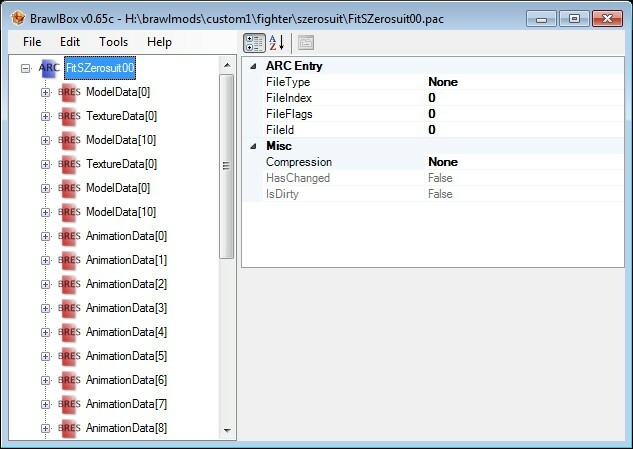 This will guarantee you don't delete any bones (because sometimes bones are selected with the objects if you use H to select them). 3. 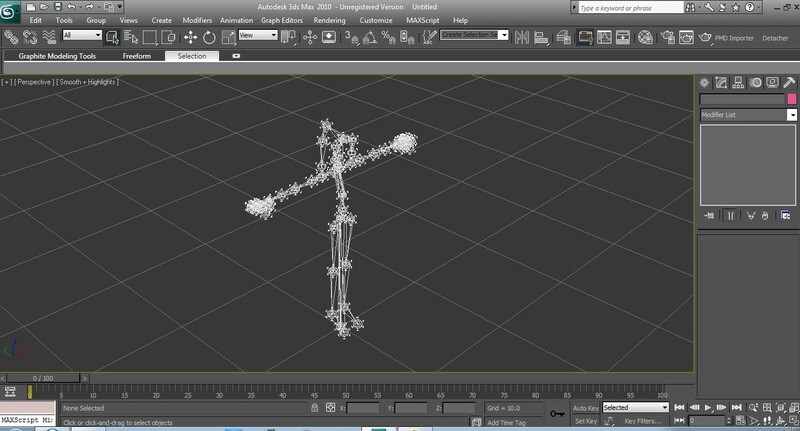 There you go, an MDL0 bone tree in 3ds Max. I will use spaces so that structures within structures can be defined. Values that start with 0x are hex values, while values that lack 0x are regular decimal values. All offsets have a default base being the start of the structure unless specified otherwise. Unsigned (uint, ushort, byte) values cannot be negative. Signed values (int, float, short, sbyte) can. A Vector2 is a group of 2 floats, which is 8 bytes. A Vector3 is a group of 3 floats, which is 12 bytes. A Matrix43 is a group of 12 floats, which is 48 bytes. (0x10 int array) Offsets to data - Offsets vary by version. Each offset points to a resource group for the specified data type, which then offset to actual data entries. 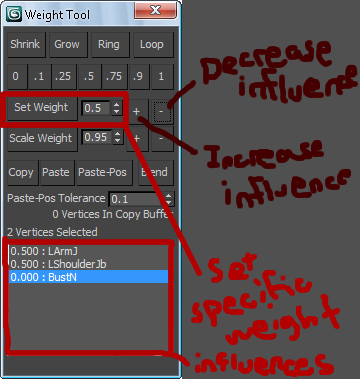 If the influence has multiple bone weights, the value will be -1. If the influence is a single bone, the value will be that bone's index in the bone list. The size of all definitions is aligned to 4 bytes. This section defines weights for influences. 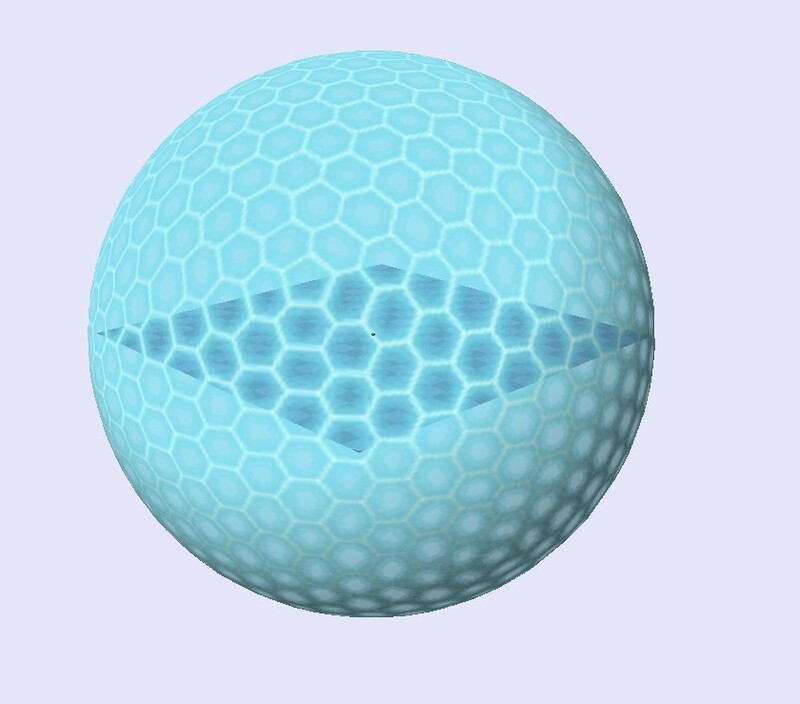 - Single-bind influences: a single bone that influences vertices. - Regular influences: a group of bones that influence vertices. Bones that influence vertices are written first, then the influences are written. Bones that do not influence vertices are not written to NodeMix. Stores what objects are attached to each material and the visibility bones for each object. Materials that do not use Blend go in here. Data is written in the order of the materials. Materials that do use Blend go in here. (0x0 byte) Terminator - Ends the definition list. (0x3 byte) Influence Weight Count - Used to read entries. Node Type 3 Entry (0x6) - Stores bone weights. (0x2 float) Weight value - Ranges from 0.0 to 1.0. (0x1 ushort) Material Index - The material that the object uses. (0x3 ushort) Object Index - The object to assign the bone and material to. (0x5 ushort) Bone Index - The bone for VIS0 object visibility control. (0x10 int) Node Id - Used for weighting. (0x1C byte) Divisor - Used to read vertices. (0x1D byte) Entry Stride - Used to read vertices. (0x1E short) Vertices Count - Used to read vertices. All data is aligned to 0x20. (0x0C uint) CP Vertex Format Lo - Flags for reading vertex facepoints. See flag bitshifts below. (0x10 uint) CP Vertex Format Hi - Flags for reading vertex facepoints. See flag bitshifts below. (0x14 uint) XF Vertex Specs - Flags for normal format, color count and texture count. See flag bitshifts below. (0x18 int) Def Size - Size of definitions block, including padding. Seems to always be 0xE0. (0x24 int) Data Length 1 - Size of primitives, including padding at the end. The following values link this object to asset arrays. Value is -1 if no array is used. The vertex set index should never be -1 unless using Direct primitives. (0x48 short) Vertex Set ID - Links object to vertex array. (0x4A short) Normal Set ID - Links object to normal array. (0x4C short) Color Set ID 1 - Links object to primary color array. (0x4E short) Color Set ID 2 - Links object to secondary color array. (0x50 short) UV Set ID 1 - Links object to a UV array. (0x52 short) UV Set ID 2 - Links object to a UV array. (0x54 short) UV Set ID 3 - Links object to a UV array. (0x56 short) UV Set ID 4 - Links object to a UV array. (0x58 short) UV Set ID 5 - Links object to a UV array. (0x5A short) UV Set ID 6 - Links object to a UV array. (0x5C short) UV Set ID 7 - Links object to a UV array. (0x5E short) UV Set ID 8 - Links object to a UV array. (0x60 int) Unknown - This value is not found in version 9 MDL0s! This section lists out all the influences this object uses. If this object is single-bound to a bone, there is no node table and the data length is aligned to 0x20. Each object has a vertex node with vertices. Each vertex has an influence, which is either a "hidden" influence or a "bone" influence. Each bone and hidden influence has a node id. Bone and hidden influences are added to an array called "NodeCache" in the location specified by their nodeId. The NodeCache's size is specified by the nodeCount before the start of the node table at the beginning of the MDL0 (although sometimes it is incorrect for models that aren't v9, so it's safer to correct its size by the highest node id of one of the bones). Hidden influences have weights, and each weight references its own bone so that the vertices move how you want them to. Bone influences literally make the vertex follow it with a weight of 1.0. All of the influences, hidden and bone, are stored in the NodeMix. Type 5 nodes are for bone influences. Type 3 nodes are for hidden influences. This type has entries for each weight. As you read these, you add the hidden or bone influence to the NodeCache in the location specified by the node id. Once you finish, the NodeCache should be fully populated with hidden or bone influences. We will use this array later to assign the influences to the vertices. Now when you read the primitives of each object, 0x20 holds the node id that the facepoints will get the influence from. 0x20 matrices can only go up to 9 in count, and then afterwards follows all the facepoints that use one of the 9 node ids in the list above. When you read the vertex id from the facepoint, you create a new vertex by getting its value from the vertex node assigned to that object at the location of the index and then adding it to a new list of vertices, and then give it an influence by reading the pos/norm matrix id. The pos/norm matrix id is always the first byte of a facepoint if the object is weighted, and it is an index in the 0x20 matrices that is multiplied by 3. So, to match up a vertex to its influence, you divide the facepoint's pos/norm matrix id by 3 and then match it with one of the 0x20 matrices' indexes divided by 12. You get the node id of the matched matrix and then retrieve the influence from the NodeCache from the location of the node id. Sometimes facepoints are repeated (like in triangles) so you need to check the new list of vertices if the vertex exists already, and then edit the index to match that vertex instead. This doesn't matter if you're writing the model though. BPMemory Mem - This is a single byte. Int24 Data - This is a group of 3 bytes that forms an integer value. Depending on the BP Memory command, this value contains multiple binary values for the command. Bit shifts for shader BP commands are shown below. Hey guys, welcome to my thread! So here you'll find any random ideas I've come up with and started. I do just about everything except stages. I'll take ideas but not requests. I'm an uncontrollably ambitious perfectionist (say that 5x fast lol), so I like to have multiple projects going at once If you want to help with anything, just ask, I don't mind collabs. Still need to fix a couple more glitches/animations and I'll release. Let's just say that this is the only neutral chao that managed to get lvl 99 on every stat and advanced farther than super chao karate, lol. 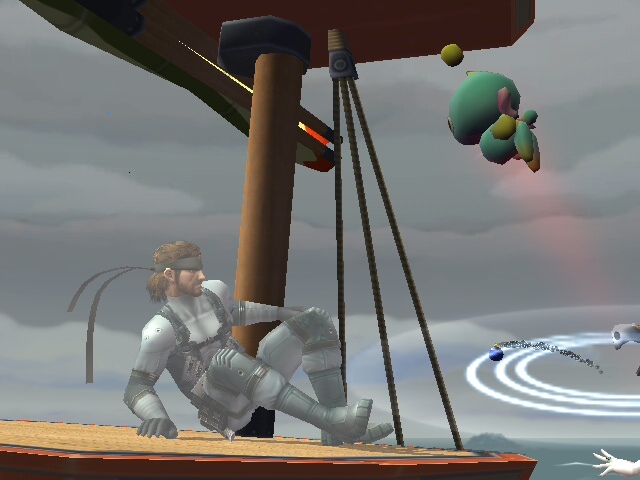 Snake: "WTF is that cute little monster!?" - Successfully Port Peach over Charizard, Squirtle AND Ivysaur. - Port Peach's animations over. - Make a quick PSA for each character. Phew, I think that's it. NOTE: This thread is no longer updated as of 1/1/2014!
. Added a tristripper and integrated it into Brawllib. This allows for mesh optimization for smaller filesize and less in-game lag.
. Added "Optimize" option to MDL0/object right click menus. This will allow you to re-optimize meshes that have already been encoded.
. 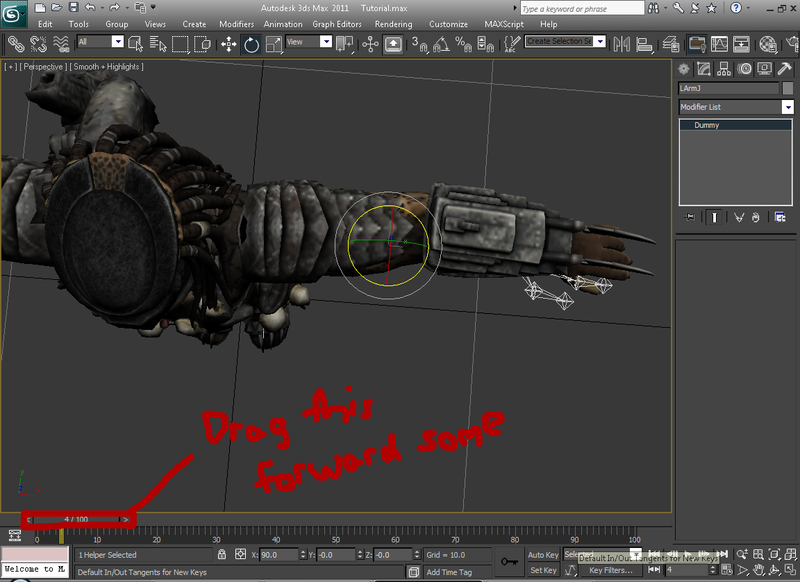 Fixed a bug where exported Collada models would have _ID added to the end of all bone and object names.
. 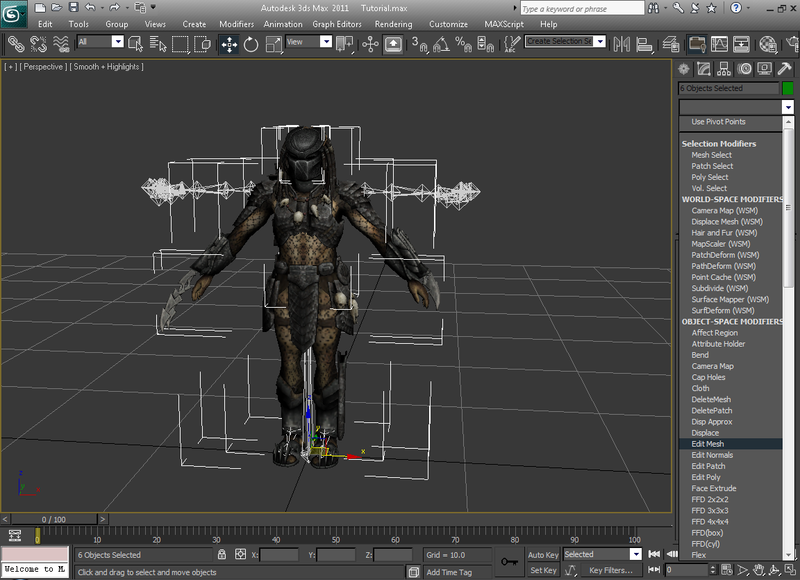 Started to add Maya .anim animation importing and exporting. This feature is still a work in progress and does not work properly yet.
. Added a code manager for GCT files. Can read/write to TXT, save GCT with text info, and open GCTs using a database of saved codes if it contains no text info.
. 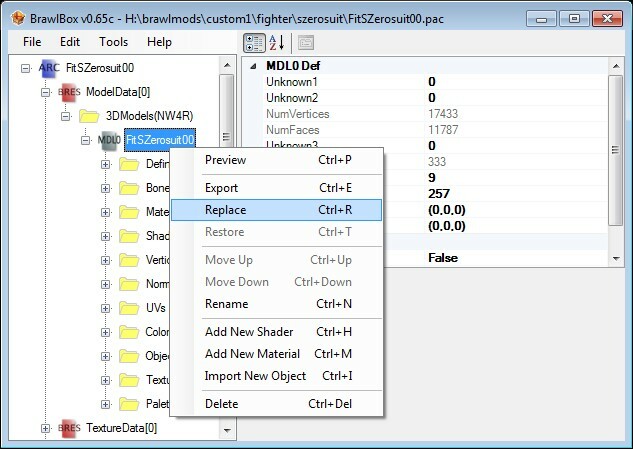 Updated model viewer to internally retain all changes to settings; no more external settings file.
. Model viewer settings can be exported, imported, and reset to default.
. Fixed when the last frame of an animation is deleted when clicking "."
. MDL0 Objects updated: now support both an OPA and XLU material, added "DrawPriority" value and added the ability to change linked vertex/normal/color/uv nodes.
. Began working on rendering materials & shaders using GLSL; all OpenGL coded has been modified to use OpenTK. This feature is not yet available.
. Added "Original Path" string value for all NW4R nodes.
. Added support for modifying RWSD, RBNK, and RSEQ files. RSEQ MML code is not yet editable yet.
. Offset editor fixed up, had some problems before and did not work.
. Added new parameter node for external GFX using new text file "GFXFiles.txt" for the gfx file names. Names originally written down by Eternal Yoshi.
. Removed all unknowns from all formats found in BRRES files. All flags are fully known as well.
. Fixed tons of bugs!
. Finished the DAE model importer!
. Finished the model rebuilder completely (everything is now editable).
. Fixed the v5 CHR0 saving bug.
. Added support for v8 MDL0s.
. Added minor REFF support.
. Fixed "Clean" button and the keyframe viewer.
. Added "Rename All" and "Edit All" buttons to BRRES nodes.
. Added support for viewing multiple models in the model previewer (CTRL+H opens model switcher).
. Finished model rebuilder, for the most part.
. Added support for editing most MDL0 shader values.
. Added undo and redo functions in the model previewer.
. Changed the way models are rendered.
. Added support for v5 CHR0s and v10 and v11 MDL0s.
. Added the ability to drag files into the model previewer to view all the models in the file.
. Added bone tree editing functions.
. Added support for editing/saving MRG files.
. Added right click menus to the Trans, Rot and Scale labels for editing keyframes in the model previewer.
. 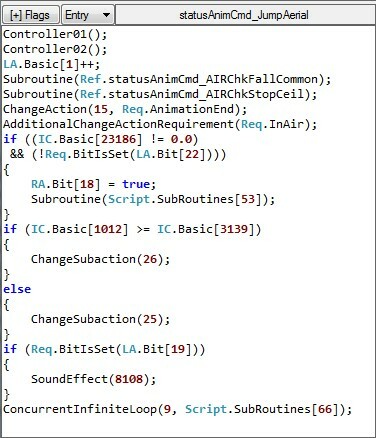 Fixed animation encoder bug.
. Fixed bug dealing with single CLR entries saving improperly.
. Animation frames now interpolate properly.
. Fixed image encoding bug related to image format on older systems.
. Fixed save dialog extension bug. Also, numbered extensions will now have real extension added.
. Fixed rendering bug related to materials without textures.
. Added various features to collision editor.
. Fixed a bug that was causing decal textures to link improperly in MDL files.
. Added minor support for EFLS resources.
. Added support for stage collision files.
. Added editor for stage collision files.
. Fixed minor bug that was affecting the way non-textured polygons are rendered (alloy models).
. Increased maximum frame delay for animation playback.
. Fixed bug in OpenGL rendering dealing with depth buffer precision.
. Added minor support for single-color CLR0 entries. Fixes many crashing problems.
. Fixed bug in CI4 encoder that was corrupting image blocks.
. Added floor option to model viewer.
. CopyAll/PasteAll in model viewer now saves the animation state globally.
. Color lists now have two color columns, one with transparency and one without.
. Added gradient generator to color list.
. Added support for CLR0 nodes.
. Added color dialog for CLR0 and PLT0 editing.
. New Median Cut quantizer using method from GIMP library.
. Added features to BRSTM converter dialog.
. Fixed CHR bug that was causing long animations to cut short.
. Fixed bug in MSBin parser/decoder dealing with empty strings.
. Added audio playback controls.
. Added CopyAll/PasteAll/Clean/Clear controls to animation editor.
. Added support for RWSD/RBNK/RSEQ files.
. Added RSAR file list.
. Fixed various bugs with the CHR0 encoder.
. Fixed a bug in the MSBin encoder for border entries. Added cut/copy/paste/insert/delete buttons to animation panel. Animation length can be set from the playback panel. Added context menu for animation list, which allows for faster import/export. Fixed issue with texture layers. Now all textures are rendered until it can be fixed.
. Fixed bug with GLPanel not closing properly.
. Fixed a bug that was causing PAC files to export uncompressed regardless of setting.
. Fixed a bug in the CHR0 decoder.
. Most new features are library improvements. Please see BrawlLib.txt for more details.
. CHR0 entries can now be manipulated.
. Added editor for CHR0 keyframes.
. Added editor for MSBin messages.
. Improved CMPR algorithm using modified code from the NVidia Texture Tools.
. Lowered OpenGL version to 1.1, and changed the way mipmaps are generated.
. Added FileAssociation and FileType classes.
. Added CHR0 encoder/decoder, with KeyframeCollection class.
. Added MSBinEditor for editing MSBin messages.
. Re-integration with BrawlLib is nearly complete. Audio support still isn't finished.
. Due to new rebuild enhancements, nodes can now be created, renamed, and deleted.
. Various improvements to node stability.
. Certain resources now automatically convert with the Export/Replace(string) command. Mainly TEX0Node.
. More BRES entries now link to the string table. This allows other resources to change size.
. BRES entries now do post-processing, and link groups/nodes to the binary tree.
. FileMaps now hold on to a FileStream object until the map is closed.
. Added OpenGL support with basic functions.
. Moved MDL0 node classes to separate folder for organization.
. MDL0 support has been improved.
. GLModel objects can now be created from MDL0Node.
. GLModel can be attached to ModelPanel for rendering. BRES entries properly adjust offsets in OnRebuild. BRESGroup addresses change on rebuild. Parent nodes (ARC/BRES) don't release sources until rebuild is complete. Initialization flag is set so nodes know when to initialize from a raw source.
. Began support for OpenGL/Models with OGL natives and GLPanel.
. Added minor speed tweak to LZ77 decompression.
. Program has been separated, allowing for the creation of BrawlLib.
. Now has minor Linux support.
. Audio nodes/controls have been temporarily disabled until BrawlLib can be updated.
. You can now use SaveAs on the current working file, so long as changes have been made.
. Added the ability to construct a resource tree from scratch.
. Various properties from ResourceTreeNode, TEX0Node and PLT0Node can now be written to.
. Added support for brstm files.
. Increased support for brsar audio packages.
. Added audio playback control for use with brsar and brstm files.
. Added the ability to export audio to .wav format.
. Added support for TGA images.
. Re-wrote the LZ77 algorithm for increased speed.
. Due to compatibility problems with paletted images and transparent colors. All images are now exported in 32-bit format.
. Added a progress bar for those long compression jobs.
. Discovered another portion of model files that needs an entry in the BRES string table.
. The texture replacer will now default to the original texture/palette/mip settings.
. Fixed various issues with Common pac files.
. Fixed an issue with certain compressed files. Character selection portraits are now supported. a. Active discovery; Nodes will only be interpreted as they are browsed. Helps with large/embedded files. b. Only portions of the tree that have changed will be re-built. c. Unchanged nodes will be copied back as-is. This helps with speed and compatibility.
. Removed Managed DirectX 9 dependency. Was causing assembly problems.
. Fixed a bug during texture replacing that was causing problems in some files (common pacs).
. Added various improvements to MDL0 file browsing.
. Confirmed successful rebuilding of 'common' files.
. Fixed a bug dealing with vertex/color data types by removing vertex parsing.
. Confirmed successful rebuilding of stage files.
. Added some support for CHR0 and CLR0 animations.
. Fixed an issue with character files with transformations.
. Fixed a few small bugs with brres generation.
. Confirmed texture replacement works, so long as the same texture format is used.
. All texture formats are now supported for replacing.
. Texture replacer has been updated to allow indexed textures.
. Nodes can now be inserted/deleted/moved.
. Remade node structure (again). Archives are rebuilt entirely when they are saved.
. PCS files compress a little faster.
. Texture replacing works fairly well, still doesn't support indexed textures. Edit: I don't want to bump an old topic, but I fixed it. 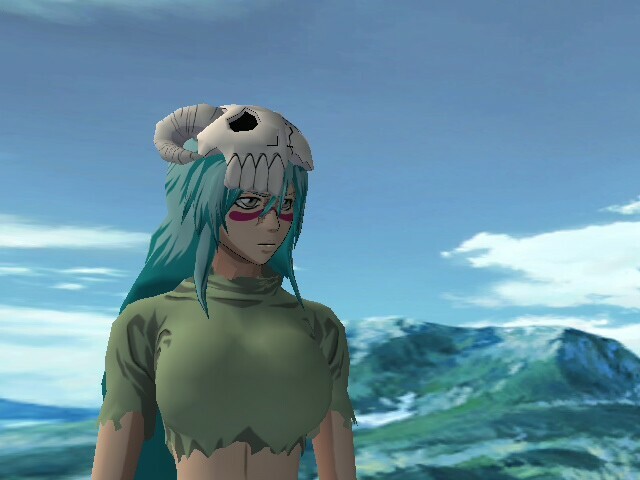 Nel didn't get enough camera time on Bleach, so... She joined the Brawl with her released form! - Porting ZSS's animations over and getting rid of the T-pose completely. Page created in 4.2 seconds with 87 queries.